The average loan size that lenders issued to borrowers in the past three months grew by $20,000, suggesting a thawing in mortgage lending, Capital Economics said Wednesday. In 2012, the average amount of a mortgage went from around $215,000 to $235,000. The higher loan amounts are not the only positive economic indicator highlighted by the research firm. Capital Economics reported a 20 percent drop in visible home inventory over the past 18 months, resulting in a situation where a months’ supply of unsold homes is now at a level where existing home sales can support current prices. 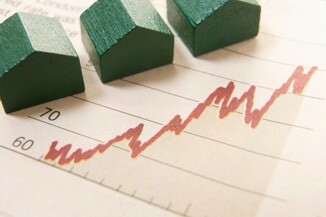 At the same time, Capital Economics believes there are currently 3.9 million homes in the nation’s shadow inventory. Even though employment numbers fell below the average analyst’s expectation of 200,000 new jobs in March, Capital Economics is more optimistic with the current three-month new jobs average sitting at 212,000 positions.